I didn't enjoy the book although I liked Jack because he is mischievous and I found the book to be realistic. I might give the author another try despite then fact I didn't really enjoy the book because it didn't make me want to read more and it also took quite a while to get into it. I enjoyed this book and I particularly liked the character Jack as he is mysterious. This book has made me want to find out more about history and I would love to read other books like this. It is very exciting and I never wanted to put it down. The author writes in a very visual way so it is like you can see the scenery in front of you. I also think it a very good book for people that give up on reading because it's easy because you never want to put it down. This book is set in Africa on the mountains, jungle and valleys. The characters are Jack , Uncle Edmund , Aunt constance , Thondup , Sonam and the Dewan. Someone is trying to kill Jack's Uncle while they are on an expedition. That back in those days you sometimes got laughed at for being different . Adding on to what I was saying if you were different people disliked you. That there was more land and less of the world had been discovered . I would definitely recommend this book. Unlike some of the books I have read this book never has one bit that gets you bored its always exciting somethings always happening . Just little things that happen along the way that just add something to it . I would recommend this book to all my friends but in age range 7 to 15 . I really enjoyed this book because so many things happen and you get a really big taste of what the characters' personality is like. It also has lots of adjectives over all its amazing. There wasn't any pictures but you didn't need any it was just as easy to with or without pictures. 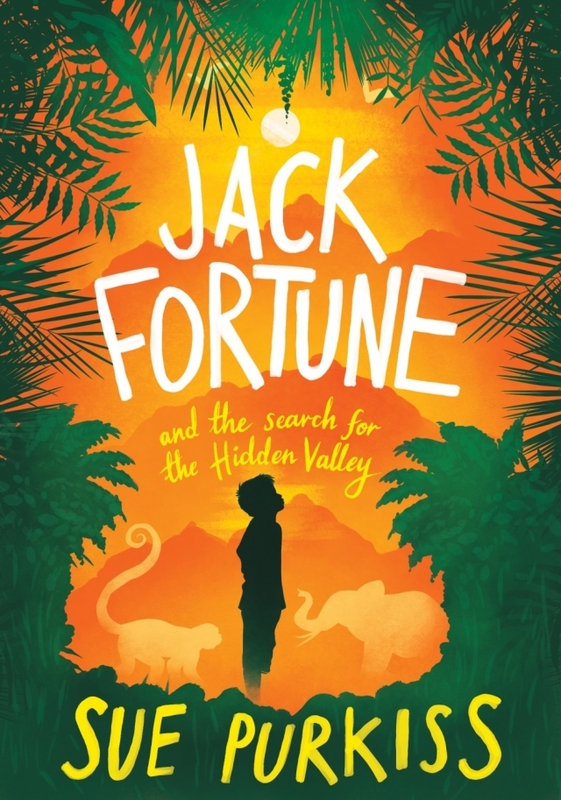 Jack Fortune is a book about a boy called Jack Fortune. Jack is extremely mischievous and wants to be an explorer when he grows up with his friend Will. Jack's Aunt Constance gets very angry at Jack because he is so naughty. What I really like about this book is that Jack likes adventure like me. Near the beginning of the book Jack's Uncle Edmund comes to stay and says that he is going off to India. Aunt Constance forces Jack to go with Uncle Edmund. The history of this book is that it is set in the 1930s, which is just after the First World War. This alluring book takes us on an adventure up the high hills of the Himalayas and through the wettest of weather conditions. Jack, an orphan, is bursting with mischief. He dwells in old, Eighteenth Century England with his divorced Aunt Constance. Jack's mischief takes its toll and becomes unbearable for his aunt, so she leaves him in the hands of his uncle. Unfortunately for his uncle, he doesn't get the chance to explore India and the Himalayas alone as he had planned, because alongside him is Jack. Personally, I found this adventurous, exciting book amazing. It turns out that Jack and his uncle actually make quite a good team. Luckily for uncle Edmund, his dreams of discovering exotic, new plants become a reality. I am elated that Jack was able to pick up his late father's artistic skills and that both Jack and Uncle Edmund, accomplish their dreams. However I did not particularly enjoy reading how rude Aunt Constance spoke of Jack's dead mother. Overall, adventurous and exciting books are the perfect fit for me which is why I loved this book so much! I really enjoyed this book because it was so adventurous. The journey to find the blue rhododendron included several dangerous encounters, such as climbing a very uneven ladder made out of rope and wood on the way up. Also seeing a tiger close up! I liked Jack; he was very mischievous. I liked how he was quite bold. Jack had convinced the children at a party he went to, to play sardines, but by the time they were found by the parents, they were in the cellar and between them they had drunk a whole bottle of sherry! His aunt grew tired of him and asked Uncle Edmund to take Jack away with him. They set off for India and had a journey full of surprises mysteries and adventures. Sue Purkiss' writing really hooked me and kept me wanting to read more. At one point I refused to put the book down when I was needed elsewhere. I intend to read more books by her. Jack Fortune and the Search for the Hidden Valley also taught me about nature and the interesting plants in the world and around us. I definitely rate this five stars out of five! This is a very exciting book which kept my blood pumping all the way through it. The characters are all very interesting. Uncle Edmund and Jack are mischievous and courageous while Aunt Constance is tough, mean and bossy! I would recommend this book to any one who would like an exciting adventurous story and who likes archaeology. I enjoyed this book because I liked Jack and the adventures that they had on the mountain. I think the history in the book was realistic as it was in the 18th century. I made me want to find out what I was like to live there. I would want to read other books by this author if they had illustrations. I thought this was a good book because it has so many different and interesting parts in it. My favourite character in the story is Jack because he is the main character and my favourite part was when they climbed up the mountain and there was a snow storm. The story was set in the 18th century and I believed that it had happened quite a while ago. It made me want to try and find out what life was like in the 18th century. It didn't really make me want to read more from this author because it didn't interest me as much as some other books, I would recommend this book to people who enjoy history! The story is about a boy called Jack Fortune who accompanies his uncle on an expedition to find a rare blue flower. I think it is an ok book but it feels like it goes on at times because there was a bit too much description. It didn't have as much action as some other books that I have read, and I tend to prefer books which are action-packed. I find I am a little like him as I am a bit adventurous though not as much as Jack and I would like to go exploring with him but maybe somewhere a little less remote than India. It was interesting to see what it was like without modern technology such as planes and cameras; it was also interesting to see how life and traditions were like in India at that time. It was very different to England today! I would recommend the book to a person who likes learning about other cultures but I prefer books with constant action and so I wouldn't read it again and again. I was enjoying the start where Jack was sick on his aunt’s feet and he keeps getting up to mischief. His uncle was about to go to India and Jack was excited to go with him as he and Will wanted to be explorers. His parents had both died from a disease when he was being an artist in Venice (I used to live in Italy where my dad was a florist). I was rather bored in the part about London, but it got more exciting when they reached India. I have a picture in my glorious mind of the boat Jack was sailing along the Ganges in, it’s like what I saw in the similar country of Bangladesh. I read Jack Fortune, I really enjoyed it and I recommend it to people like me who love historical adventure novels. I really liked this book because I found it very interesting and intriguing with numerous changes of events, like when Aunt Constance was sick and tired of Jack'ss behaviour and she wanted to get rid of Jack and Uncle Edmund, so the expedition was the best way but then Uncle Edmund disagreed because of it being too dangerous for a boy like Jack, but Aunt Constance convinced him to. I really liked chapter 4 especially because when they had been on the boat for 2 whole months and Jack had grown so much his clothes didn't fit him anymore so he needed the tailor at Calcutta to make him some more! Also I like it when they met a new character Colonel Kydd. I really liked the history because I find the 18th century really fascinating and interesting. I found the book realistic because during that period British explorers and naturalists travelled the globe to discover new species of plants and animals, like Charles Darwin. To illustrate how much I enjoyed this book I now want to read more books by Sue Purkiss. I highly recommend this book if you like historical, explorer type adventure stories. I recommend this book to people aged 11+ as it has some injuries/unfortunate events as well as some tricky scientific language. This book is exciting and fun to read and makes me want to read more books by Sue Purkiss. I really like the character Sonam because he is strong and skilful (like me J) and would do anything for his family. When Jack was too scared to climb the ladder Sue Purkiss's amazing description made me fear for Jacks life. My favourite setting was the Hidden Valley because it is mentioned throughout the whole story (including the front cover) and is where Jack finds the blue rhododendron, or rhododendron floracelestia. I like the part of the story when Jack and Uncle Edmund go to the headquarters of the Royal Society because it hints that there might be another Jack Fortune adventure. Main characters; Jack Fortune, Uncle Edmund, The Maharaja, Thondup, Sonam, Mr Inchmore, The Dewan, The Abbot, Will and Aunt Constance.